Every business needs to make their presence felt to be successful. The more people know them, the more business they can do. So, marketing is important for a brand. Through marketing, people will know about the brand. These days the internet is taking the front line of marketing. Most companies know the importance of a reliable presence online can bring them immense opportunities. Social media marketing is growing too fast, and nine out or 10 companies are employing marketers in the social media platforms to market and manage their account. Through advertisement in social media, a business can showcase their product or service. Brand recognition can be improved through social media. Regularly posting about your product will increase the curiosity of the social media users and the targeted users will start interacting and inquiring about the product. Suppose in a Facebook marketing, the Facebook users will ask questions, and your representative replies them accurately, it will increase the credibility of your company and the users will buy the product or service themselves, or they will recommend others who needs to buy the product or service. For staying popular and within reach of clients, companies will need loyal clients. Loyal clients are those who actually make the sales for your company. If there were no loyal clients, then you won’t get the amount of sale you need, or you mightn’t get any sale at all. 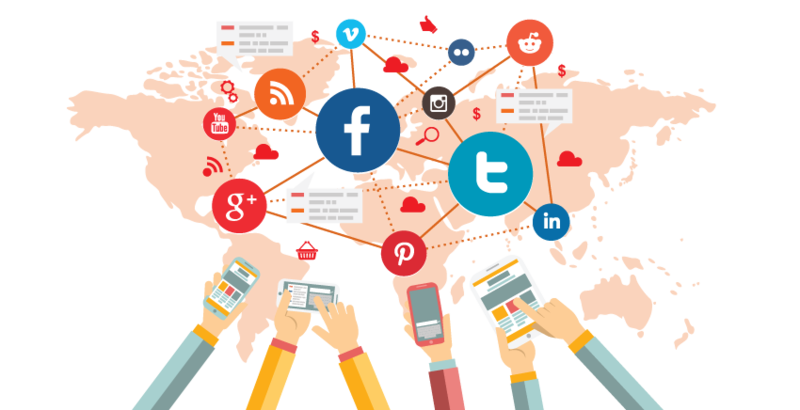 Social networking sites are like a place where your client can easily make communication with you. You listen to them, you reply to them, and thus the trust of your client goes high. These days wherever you look, you will find people sitting on some corner and doing something with their phone. Almost every person has an online presence these days, and most of them are having a social media account. Social media users are the best places to target potential clients. Instagram and Facebook advertising is the best ways to reach to a large number of potential clients, and thus more sales.